Salesforce is a great CRM that is wildly popular for its effectiveness. If used correctly it can be very powerful for your organizations workflow across most departments. Companies that use Salesforce are blown away with how customizable it is. While being extremely customizable and flexible, on the other hand, to a new comer, it is extremely complicated to understand. 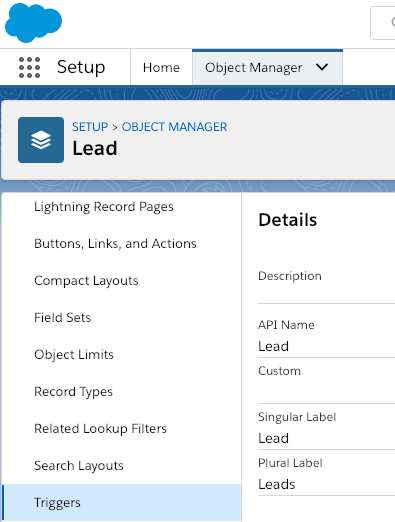 Our initial goal with integrating with Salesforce was to push leads into our system (Teledrip), based on a custom field that we have added to the Salesforce Lead (SObject, in Salesforce) called TeledripCampaign. When a lead is inserted, or updated, with a valid Teledrip Campaign ID, it would then be posted into a Teledrip campaign, so that everything is fully automated. 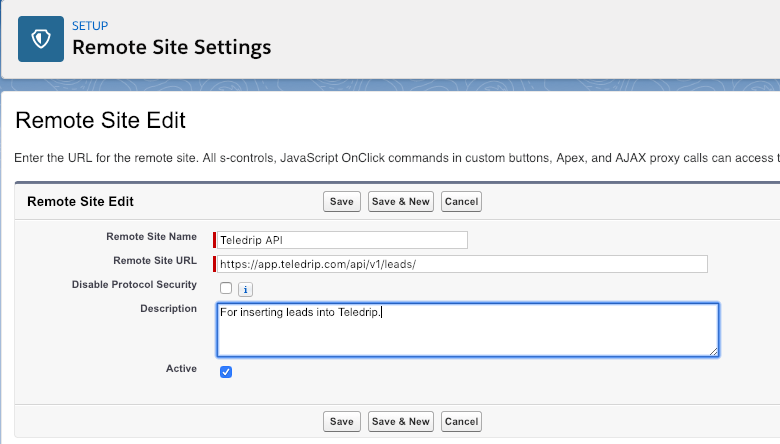 In the same way, we could even add a DNC checkbox, that when checked, also posts to Teledrip’s API sending a DNC request, so that all communication stops in the Teledrip platform across all campaigns. 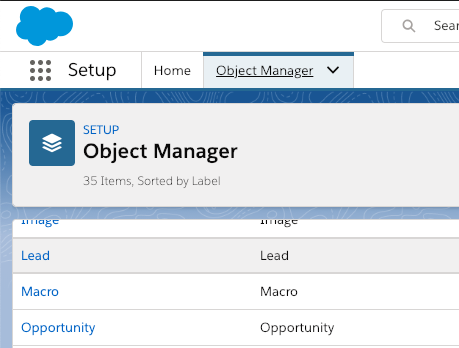 In the upper right hand corner of your Salesforce home page, click on the Gear icon, then click “Setup”. 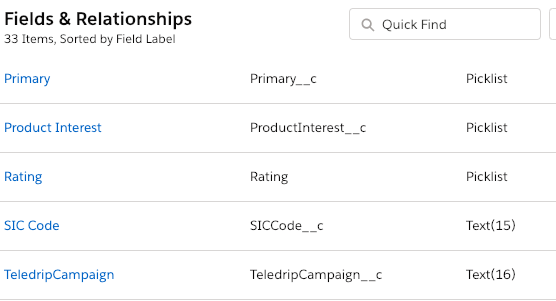 Add a Text field that will contain the TeledripCampaign ID that you want leads inserted to, when a lead is inserted with a Teledrip campaign, or updated with a Teledrip campaign. Add a new trigger to lead, and this is the code to do what we want to accomplish. Reach out to support@teledrip.com to get a custom Apex class for your Salesforce Developer Console. By setting up this Apex class with an Apex trigger, you can easily post to TeleDrip.